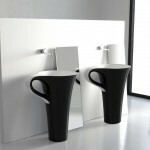 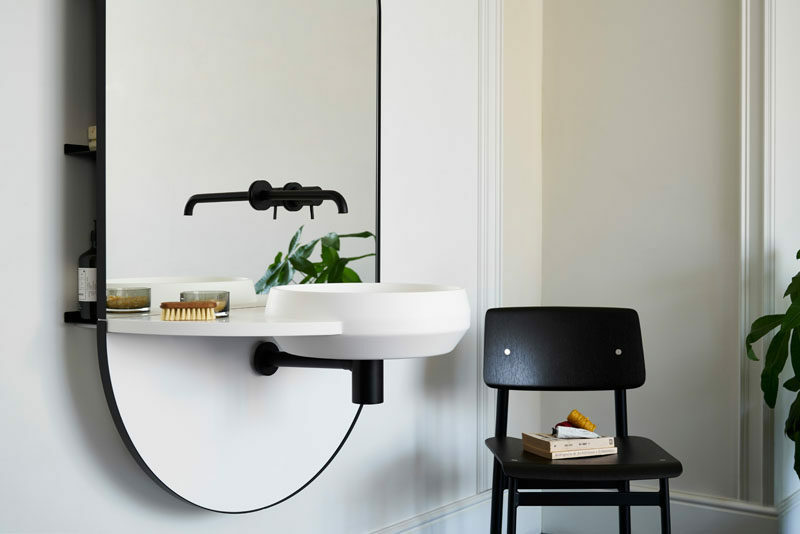 Spanish firm MUT Design Studio, founded by Alberto Sánchez and Eduardo Villalón, have designed ARCO, a multi-functional piece of bathroom furniture. 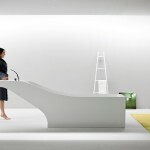 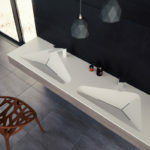 Inspired by the shape of an arch, ARCO is a minimalist design that incorporates a mirror, taps, washbasin, and a shelving system, which is hidden behind the mirror. 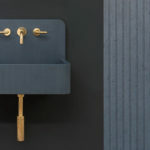 Designed for Italian bathroom brand ex.t, ARCO combines materials such as LivingTec®, varnished metal, and brass, to create a wall-mounted design.